Eugene Lloyd Krull age 77 of Bannister, MI formerly of Brant, passed away Sunday, March 17, 2019 at his home surrounded by his family. 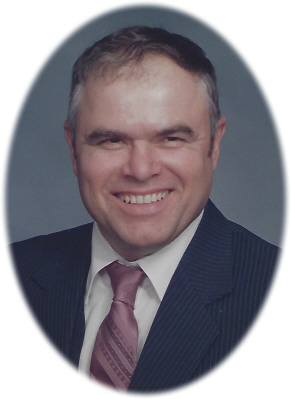 A Memorial Service will be held at Owosso Kingdom Hall, 425 E. King Street, Owosso, MI 48867, on Saturday, April 6, 2019 at 2:00 P.M.
Eugene was born in Saginaw, MI on July 14, 1941 the son of Warren L. and Charlotte (Grimm) Krull. On June 1, 1963 he married the love of his life, Janet Cook of Bannister. They have one cherished daughter, Mishelle who married Edward Rocha. They have one child Brandon, who Gene affectionately called "My Favorite Grandson." He is survived by his wife and three siblings: Claire Hoch, Arthur (Karen) Krull and Linda (Rodney) Mills, as well as many nieces, nephews, in-laws and lots of special friends. He was preceded in death by his parents, and three siblings Lyle, Loren and Arnold. Gene was Head Sawyer and lumber grader for Richmond's Sawmill, as well as Szepanski Sawmill both of St. Charles. He then opened his own business, "Gene's Repair" which he and Janet successfully operated for over 25 years. He enjoyed life and he loved people. He always had a smile on his face and was there to help anyone who needed a hand. Things that brought him great joy were dancing with his wife, spending time with his grandson, playing cards and simply joking around. He was baptized as one of Jehovah's Witnesses on October 14, 1967. He loved sharing his faith with others. Gene battled with Parkinson's for over 28 years. His loving wife was his best friend who cared for and always supported him. Online condolences can be sent to www.smithfamilyfuneralhomes.com. The family is being served by Smith Family Funeral Homes, Elsie, MI.